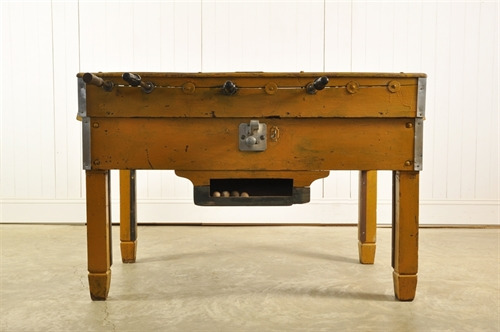 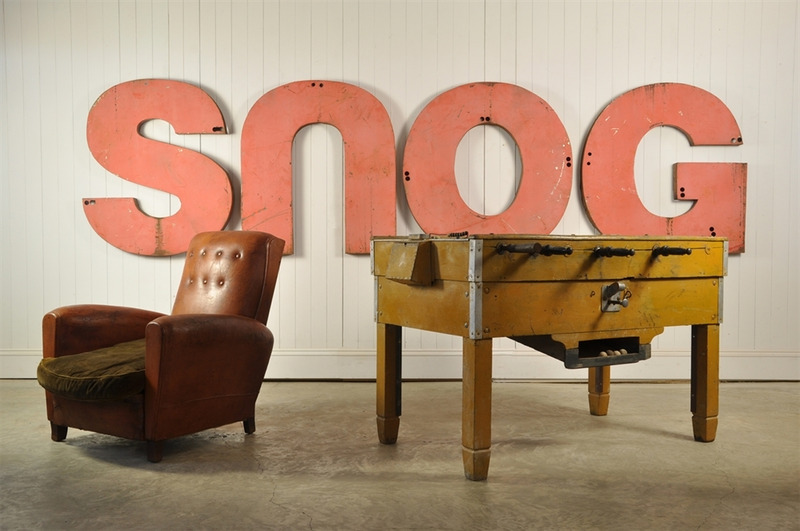 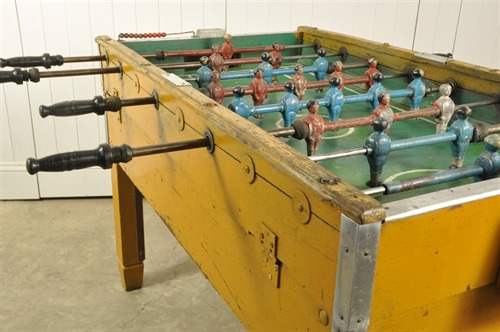 Vintage Football Table - Original House – Decorative Antiques, Vintage Industrial Furniture and Lighting, Cotswolds. 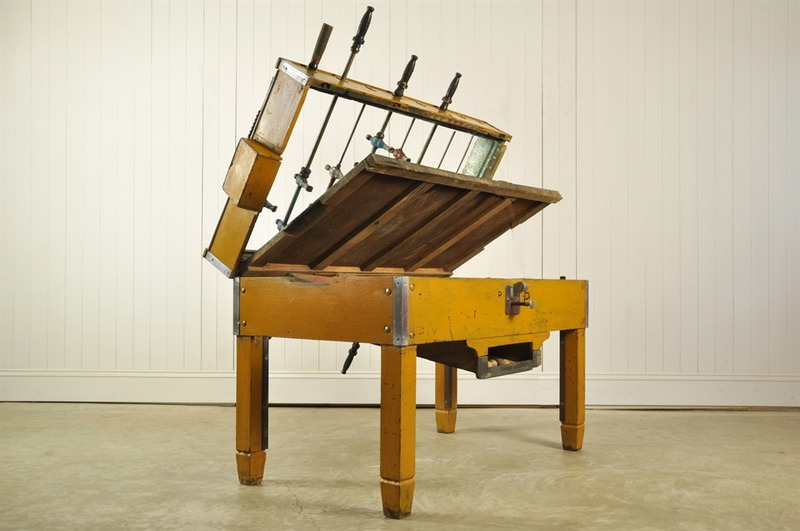 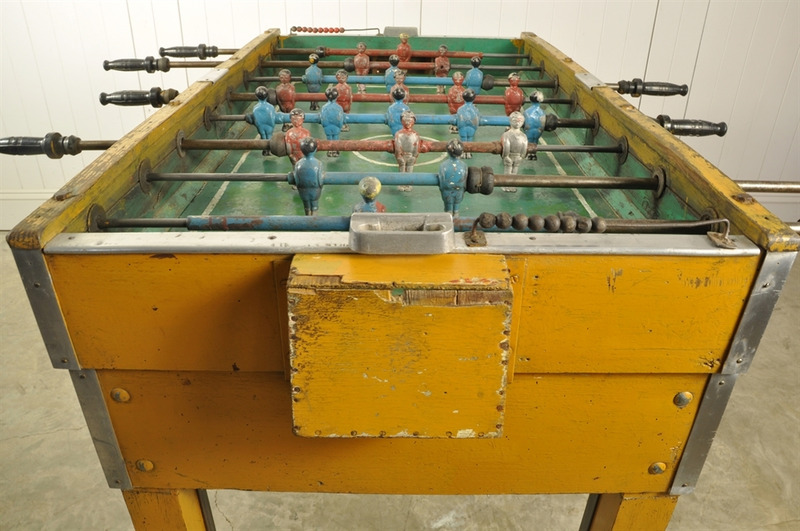 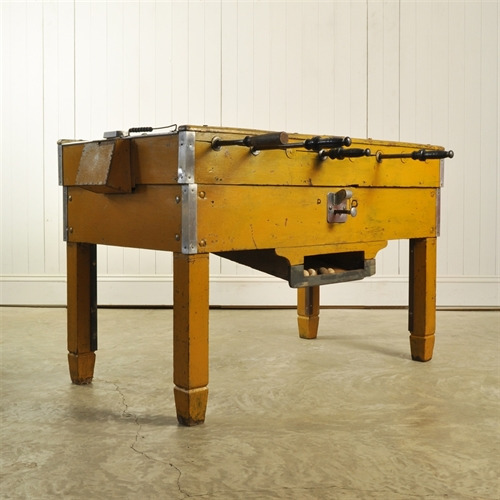 It has been ages since we have sourced a vintage French foosball table. It has had some restoration - notably the legs have been cut at some stage. 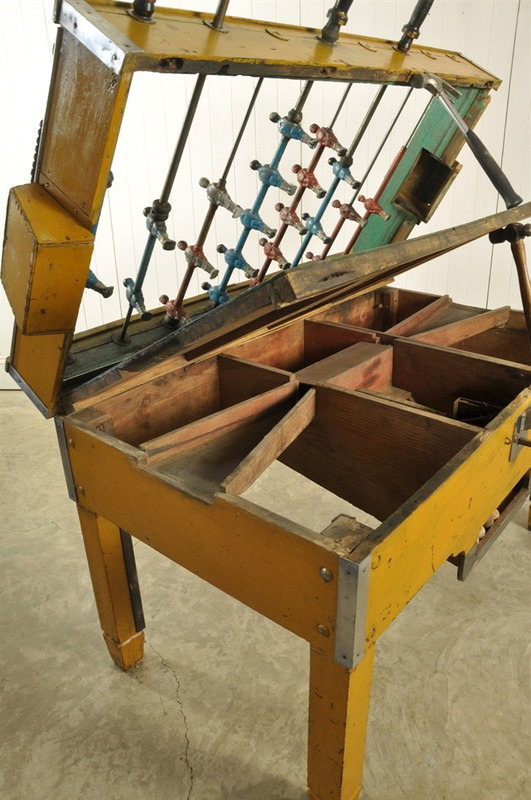 However these have been replaced and braced at some stage and there is no movement in them at all. 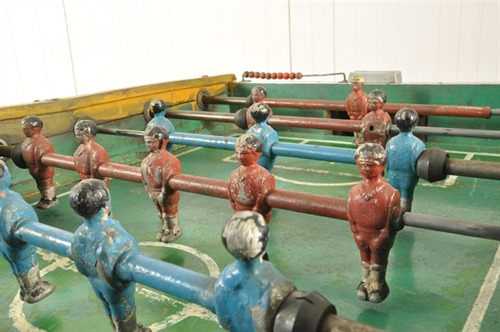 Hardly noticeable unless pointed out. 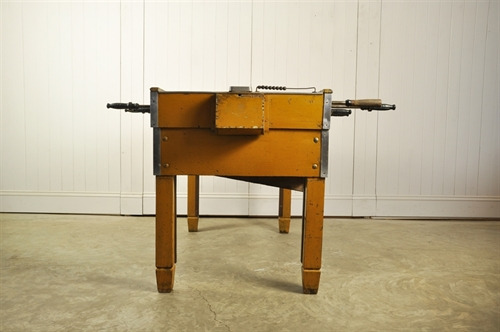 Like a vintage car this will require some simple servicing in its future life, such as oiling the sliders. 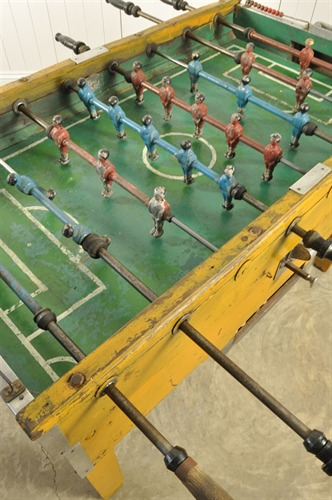 My kids will be VERY upset when this goes ! 84 cm h x 135 l x 72 d ( 102 d inc handles ).